Plexus slim is weight loss supplement produced in the US by Plexus Worldwide. The manufacturers back this up with a 60 day money back guarantee, but, with a price tag of over $80, Plexus Slim is an expensive product and it is worth noting it has never been tested, so there is no proof it even works. One of the better things about Plexus Slim is the inclusion of Garcinia Cambogia – although there does not appear to enough of the active ingredient. 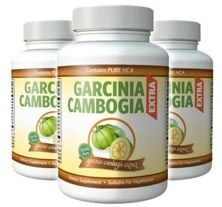 Garcinia Cambogia is an excellent fat burner and best taken in a higher dosage. Plexus Worldwide use the multi-level marketing (MLM) business model and although their official website contains a little product information its real focus appear to be selling their home-based business opportunity. Plexus call their distributors “Ambassadors” and Ambassadors are paid a commission on all their personal sales, plus an additional commission on sales made by their downline (Ambassadors they have recruited and people recruited by their Ambassadors, down through several tiers). MLM businesses can be lucrative ventures, but history has shown that products promoted in this fashion are seldom the best on the market. Only Plexus Ambassadors can purchases from the Plexus website. Normal buyers must buy from Ambassador-run sites where they will be provided with two ordering options. Retail: A normal one-off purchase. A Preferred Purchase: Signing up for an automated billing and shipping cycle to receive a modest discount ($5). Despite the already high price of the product, Plexus Ambassadors encourage customers to purchase a second product—Plexus Slim/Accelerator—by promising enhanced results and offering the Accelerator at a reduced rate. This may result in additional profits for the Ambassadors, but it could also be seen to hint that the product may not be as good as they say it is. Sachets should be mixed with 12 Oz. water and taken 30 minutes before a meal. Only one sachet is required each day, so it is not important which meal is chosen. The main promised benefit is “safe and effective weight control” and this will be achieved by appetite management and fat metabolism, but moderate exercise will be required. 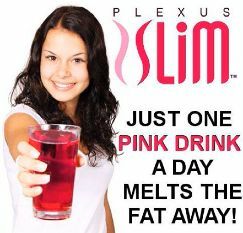 Plexus slim contains only natural ingredients (always a plus), but the company’s failure to supply any inclusion rates renders it impossible to say how effective the blend might be. This is not a particularly impressive list and many of the ingredients require further testing before they can be fully endorsed as being beneficial to weight loss. 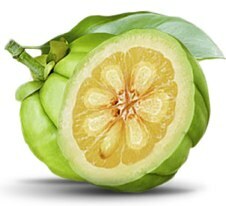 Chlorogenic acid is a proven fat burner though, and garcinia cambogia has a growing reputation as a natural appetite suppressant, so these inclusions may have merit, but if the inclusion rates are too low any potential will be severely hampered. Plexus have gathered some pretty positive testimonials on their website, but the fact that many of these can be attributed to their Ambassadors makes it hard to take them too seriously. Some Ambassadors also distribute Plexus Slim via the Amazon marketplace, and this has afforded the opportunity of independent feedback. It makes interesting reading because the majority of positive feedback appears to have been left by Ambassadors. This could be described as being a hidden truth because several of the ingredients offer the potential for side effects. It goes without saying this product is best avoided by pregnant and nursing mothers. The same advice is offered to anyone who has known health issues. The Plexus “opportunity” may have the potential to make a few Ambassadors wealthy, but Plexus Slim is unlikely to provide dieters with the results they require; and although it is always good to see a money back guarantee, it would have been preferable to see some evidence of product potential instead of unsupported promises. The fact that the product is untested is forgivable; the lack of inclusion rates is not. The hidden health disclaimer also fails to impress, and the way Ambassadors have attempted to manipulate product feedback is just one of many factors that suggest Plexus may not be what it is hyped up to be. Better options are available. Cheaper options are available. The consumer is advised to look elsewhere. As mentioned, Garcinia Cambogia is the pick of the ingredientst – it is a natural fat burner that is proven not only burn excess body fat but stop a potion of new, unneeded fat cells from being produced.